We landed on this lovely beach to the south of the ferry jetty at Claonig. I should say something about the P&H Cetus MV, which I have had on loan for the last 7 months. 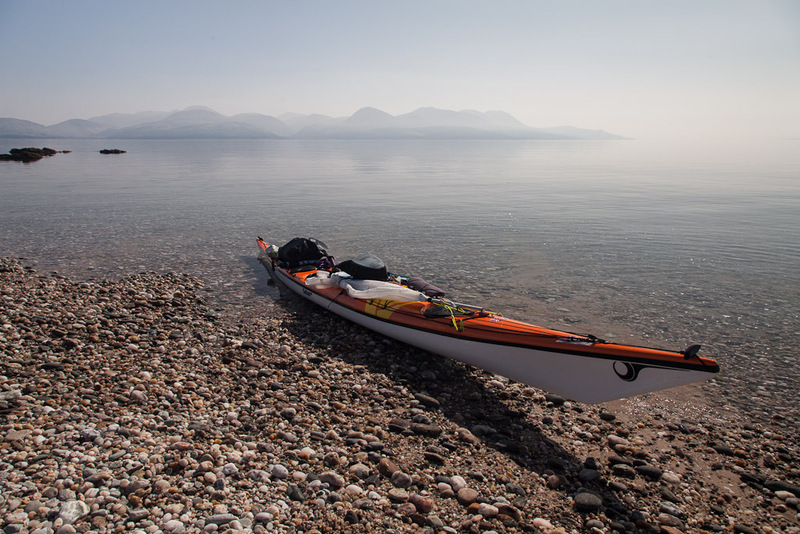 It has proved to be an outstanding, comfortable, all round kayak, just as at home loaded with camping gear for a week as rock hopping on a day trip or blasting with a sail. Despite class leading stability, it is still an incredibly manoeuvrable hull. The new skeg slider works perfectly but I am less happy with the elastic skeg down haul. The elastic is not strong enough to pull the skeg down in high wind and wave conditions, especially when sailing when it comes up. 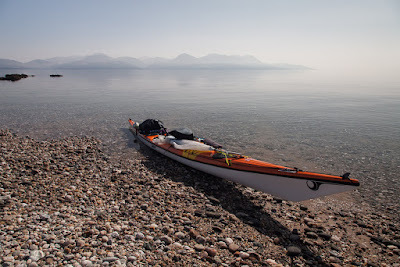 Overall, I like the Cetus MV so much that it will be my next kayak. But I will order it with a wire skeg. I let Mike try it for a windy day kayak sailing and he has also already ordered his own new Cetus MV, but like me with a wire skeg.